Hey, it’s five o’clock somewhere, right? Toast to mom during the Brant Point Grill’s Annual Mother’s Day Bloody Mary Brunch at the White Elephant, May 9 from 10 a.m. to 3 p.m. Along with the restaurant’s infamous make-your-own Bloody Mary station, guests can enjoy a raw bar, carving, omelet, and waffle stations. But save room for dessert, moms! This year, Brant Point Grill will also be handing out a special gift to all mothers: cranberry pecan nut clusters. Brunch is $48 per person. Children ages 12 and under pay $24. Reservations are required. Please call 508.325.1320 to reserve. Regular Sunday Brunch at the Brant Point Grill is available from mid-April through the end of August, 10 a.m. to 3 p.m. Worried about dining out and sabotaging that Spring Break-ready bikini body? Order up from La Réserve Geneva’s new Café Lauren menu for a fresh take on lean, flavorful cuisine. Located at the heart of La Reserve Geneva’s established SPA restaurant and named for the La Réserve Collection owner Michel Reybier’s first granddaughter, Café Lauren connotes youth, freshness, and femininity. Eric Canino, the resident chef of sister property La Réserve Ramatuelle, brings his concept of light, balanced cuisine to the new menus, now offering breakfast, lunch, and dinner. Complete the wellness regimen by booking a stay in a Lake Suite for majestic views of the Lake Geneva shores. Then spend an afternoon indulging in a signature La Prairie and Cinq Mondes facial treatment at the 21,527-square-foot spa. Fashion Week may have said goodbye to Bryant Park for good, but its new neighbor, Andaz 5th Avenue, has some new threads to show off. The hotel, sister property to Andaz Wall Street (which opened in January), has been draped from head to toe in red banners this week. The zing-y display, which passerby are checking out on 5th Avenue and 41st Street, gives answers to the following question asked of New Yorkers: What is your favorite, uniquely NYC moment? Thoughts range from the cultured (“eating sushi on the steps of the New York Public Library”) to the unfettered (“fire hydrant sprinklers”). Andaz 5th Avenue hopes to become the newest setting for these metropolitan moments. Designed by Tony Chi of tonychi and associates, the striking design of Andaz 5th Avenue includes elements like steel factory windows – jaw-droppingly tall – that will set off views across Manhattan and, for quieter moments, a garden retreat in the center of the hotel. Each of the 184 guestrooms will be full of natural light, plenty of space, and touches of whimsy such as clear hanging racks on an open-faced closet, a reference to the display racks in the nearby Fashion District, and cloisonné foot baths to fill after a day of city walking. Meaning ‘personal style’ in Hindi, the Andaz philosophy is one of symbiosis with the neighborhood. Produce is locally sourced and the check-in and service is simplified, without the middlemen of doorman, bellhop, and concierge at the desk – just one “host” for each incoming guest. It seems Spring may have finally sprung in New York, and it’s blooming brightest on 5th Avenue and 41st Street. Offer is subject to availability, cannot be combined with any other promotions or offers, and is not applicable to groups. To receive the guarantee, you must book by April 1, 2010. Click here for other restrictions. To book online, visit the Nantucket Island Resorts property of your choice and enter the booking code GTDLOW, or call 800.ISLANDS (800.475.2637) or 508.325.1000 and mention booking code GTDLOW. Matt Lauer has been talking about Alice Marshall PR a lot lately…well maybe not about us specifically, but certainly about our fabulous clients! Below, Kevin Doyle of Condé Nast Traveler recommends Park Hyatt Beaver Creek as a great family vacation not just during ski season but also in the spring and summer. Guests can enjoy fantastic outdoor activities like fishing, biking, hiking, and ice-skating (yes, an outdoor ice rink in the summer!). And even better… rates as low as $93/night. Despite Mr. Lauer mentioning that he just got back from Colorado, we are betting he’ll make a return trip this summer. Watch the clip below for more! 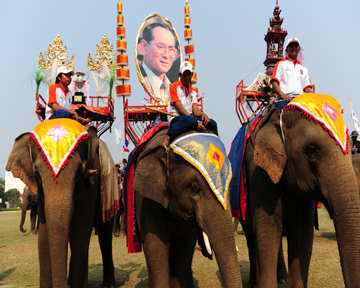 A great parade kicked off the 9th King’s Cup Elephant Polo Tournament in Thai style this morning, trumpeting through the historical town of Chiang Saen in the Golden Triangle region of northern Thailand. Colorfully decorated elephants, Parong hill tribe people in traditional costumes, marching bands, dancers, and beauty queens in ancient Thai garments paraded past cheering crowds to celebrate the spirit of friendly competition. Following the parade, two exhibition matches were held back at the resort as a teaser of what’s to come tomorrow when international teams head to the polo pitch for the opening of the heralded King’s Cup. The high season for weddings has begun! Below find a round-up of honeymoon packages to suit all kinds of couples, from the couple who wants to just do nothing together to the couple that wants to do everything together. Rosewood Mayakoba knows that running around town to pick up save the dates, sample wedding cakes and find the perfect dress is hard work, even with the help of a great wedding planner or maid of honor so the five-night “Honeymoon Mayan Romance” package begins with top-shelf tequila upon arrival, and is all about chilling out. 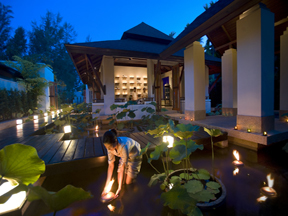 Take a Tantric Yoga class and enjoy a Moonlight Massage for two on your suite terrace. Glory in your private plunge pool and butler and end the day in an Aroma Bath with champagne and chocolate. You’ll also get a Couple’s Massage instruction session with 30 minutes of “alone time.” Let stress slip away at this gorgeous resort, nestled between the Yucatán jungle and Caribbean Sea that marries high design with serious luxury. Rates start at $1152 per night. 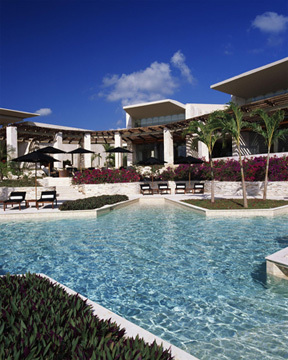 Visit www.rosewoodmayakoba.com or 888-ROSEWOOD for more details. 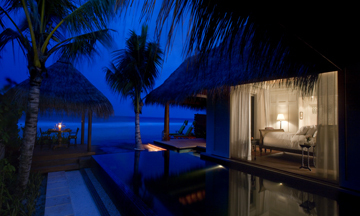 At Naladhu, the Island Romance package begins before you even reach the property. A speedboat will meet you as you leave the airport to take you directly to this Maldivian island resort. A House Master will lead you to your private house, where Champagne cocktails and fruit are waiting. Spend the day by the pool or snorkeling in the reef then relax with a complimentary coconut milk bath for two. As if that wasn’t enough, chocolate cake to share is included! Nightly rates for the Island Romance package begin at $1,475 per night with a four-night minimum (rate excludes service charge and Maldivian government bed tax). Begin your journey together in Bali’s spiritual heartland, at the COMO Shambhala Estate, with a Wellness Program tailored to your needs. Give your marriage the brightest possible beginning by learning how to stress-battling techniques based on the philosophies of Yoga, Chi Kung and Tai Chi. 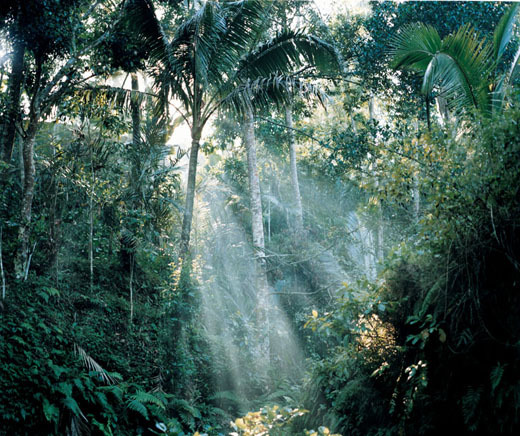 Then let the experts in holistic healthcare go to work using massage, acupuncture, Ayurvedic therapy and hydrotherapy (using water from the Estate’s sacred, mineral-rich spring). Rates begin at $2,100 for a three night Stress Management program in a Garden Room. Visit http://www.cse.como.bz/rates-2010 for more details. Stay at Parrot Cay and simply ‘be’ as a couple in one of the few pristine places in the Caribbean: a 1,000-acre private island where the spacious, teak-filled bedrooms spill out onto a mile of powder soft beach. Recover from the pre-wedding jitters with complimentary extras like Pilates and yoga classes and use of windsurf boards and catamarans. 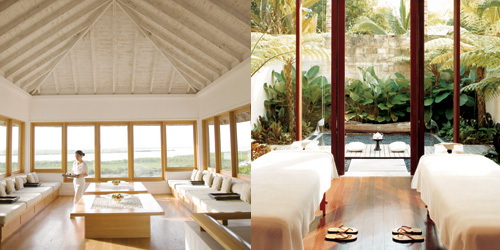 A seven-night Parrot Cay Honeymoon also includes 60-minute couples massage, a candlelit dinner in the COMO Shambhala Cottage and a bottle of champagne on arrival. 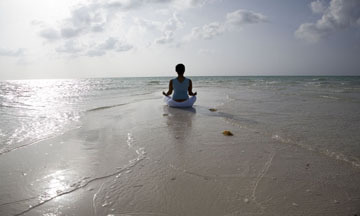 (BONUS: The COMO Shambhala Stress Management program is available here as well!) Rates start at $6,012 per couple. The Wauwinet, a natural, stunning waterfront setting in Nantucket, is perfect for the couple that doesn’t want to go stray too far from home. Newlyweds can stay at one of the Wauwinet’s charming garden cottages, just slightly removed from the main buildings. Arrive at the hotel via the Wauwinet Lady, the hotel’s private charter, then indulge in couples treatments at The Spa by the Sea. 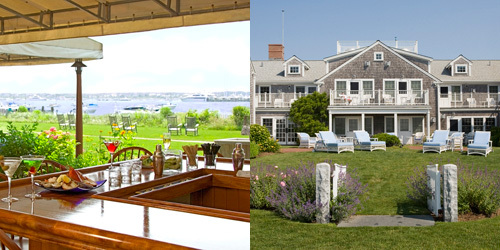 With Nantucket Island Resort’s Hot Dates, Cool Rates promotion, rates at the Wauwinet start at $225 for 2010. Stay at the Inn on the Alameda and explore our oldest capital city’s culinary and cultural delights for your honeymoon. With the Taste the City Different package, couples can take a three-hour walking tour around beautiful and historic Santa Fe with a chef guide to introduce you to the city’s most unique dining destinations. The next day, see who’s got better mincing skills with a cooking class and lunch to follow. 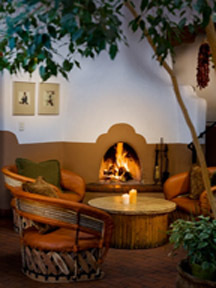 When you’ve had your fill, the hotel’s Kiva fireplaces, triple-sheeted beds, and afternoon wine and cheese will be waiting. Don’t forget to bring home those authentic Southwestern recipes ‘por dos.’ Rates begin at $675 for a three-night package. 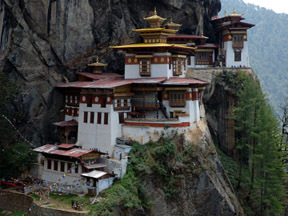 Honeymoon in the largely unspoiled kingdom of Bhutan, and participate in adventurous activities that include rafting, archery, camping and fly-fishing at Uma Paro. Then hit the road with biking and trekking courses that visit local monasteries and villages for a slice of culture. And don’t forget, the Bhutanese measure their wealth in Gross National Happiness, so the joy of recently married duos will certainly spike that statistic! Stay in a Como Suite and you’ll have a stunning 180 degree view of the Paro Valley. Rates start at $595 per night. High in the rolling hills of Thailand’s north, Anantara Golden Triangle Resort & Spa is the perfect locale for the adventurous honeymooners to hang their hats before setting off for an unforgettable adventure. Never a dull moment at the resort, couples can learn to ride, bathe, and feed Thai Asian elephants at the on-site elephant camp. Choose the Mahout Discovery package for a three-day intensive mahout training course and learn all the sublties of elephant driving, or partake on a tri-country expedition on the Mekong through northern Thailand, Laos, and Burma, with the Three Country Discovery package. Nightly rates for the Mahout Discovery package begin at $480 for a Deluxe Room, double occupancy, and at $682 for a Deluxe Room, double occupancy, for the Three Country Discovery package. Certain restrictions and conditions apply. Please refer to the package links for details. 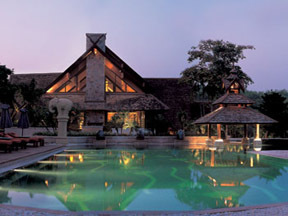 Anantara Si Kao Resort & Spa in Thailand will satisfy the couple looking for an unforgettably full cultural experience. Try pretty much every water sport imaginable, from sailing, snorkeling, diving, windsurfing, waterskiing, to even swimming with sea cows! Need something to hang beside the marriage certificate? Get scuba-certified on site with the resorts 5-star PADI scuba diving center. And you both can learn how to prepare a full Thai meal with staff-led cooking classes. More creative couples can partake in the art of Kae-Sa-Luk, Thai fruit and vegetable carving. Book your stay online 40 days in advance between now and December 20, and receive 20% off and daily breakfast buffet for two with the Early Bird Bonus special package. Nightly rates begin at $270 for a Deluxe Garden Terrace room. Pasty complexion, dark eye circles, and permanent frown lines (ugh): the treacherous side effects of a long, cold winter. But there’s hope for renewal! 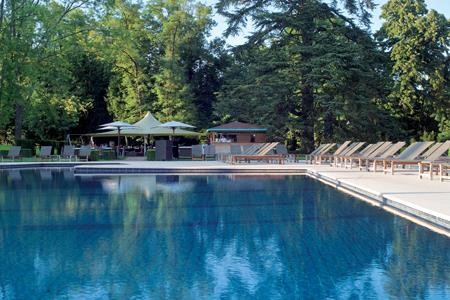 Get the luster back in that lackluster skin with some serious springtime spa savings at COMO Hotels and Resorts. Hop on a short flight to Parrot Cay in Turks & Caicos for the weekend, and take advantage of 25% off all packages, including the Sun and Seclusion, Parrot Cay Honeymoon, Dr. Perricone, COMO Shambhala Experience, Wellness programs (including the famed Aryuvedic and Stress Management), and the resort’s newest packages, Babymoon and Romantic Runaway. Offering is available now through September 8 for all room categories including Private Residences. In need of a more intensive, extended getaway? It’s COMO to the rescue once again! Book it to Bali for one of the select three-, five-, or seven-night wellness program packages at the COMO Shambhala Estate. Enjoy up to 20% off through the end of May, with discounts of 20% off Bespoke Programs and 15% off Stress Management, Get Fit, Cleansing, and Rejuvenation programs. 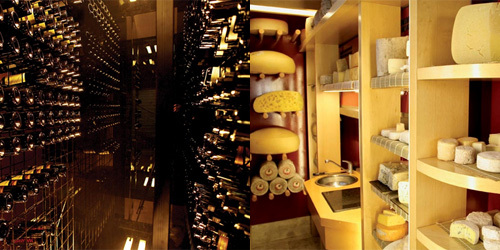 a grand tour of wine and cheese? yes, please! When we indulge, we go global. Park Hyatt is showing us how to eat and drink our way through three countries for the very first Masters of Wine & Cheese Tour of the World. In its 21st year, Park Hyatt’s Masters event is branching out by adding two new four-day tastings to their (and now your) calendar. The Tour of the World kicks off at Palacio Duhau Park Hyatt Buenos Aires (April 28-30), heads to Park Hyatt Washington D.C. (June 17-21), and finishes in the world capital of vin and fromage at Park Hyatt Paris-Vendôme (October 11-16). Excursions will include a classic “Polo Exhibition” and cooking class in Buenos Aires, a sustainable summer picnic and wine tasting class in D.C., and a cocktail mixing course in Paris, all tailored to the discerning gastro and onephile in us all. Beginning March 21, Park Hyatt is offering a special Masters rate for participating guests. For details about participating chefs, wineries, and destinations, click here. 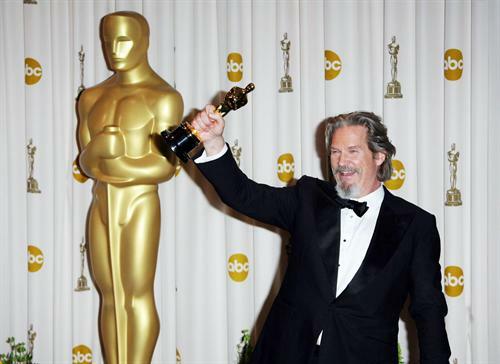 Jeff Bridges is on a roll. Coming off of his Oscar win for Crazy Heart, he’s getting right back on that horse (literally) to reprise John Wayne’s Oscar-winning role in a remake of the 1969 Western, True Grit. The day after the 82nd Academy Awards ceremony, Bridges hopped on a plane to Santa Fe to begin filming with the Coen brothers. There must be something about Santa Fe, because it was also a primary filming location for Crazy Heart. Could this be two in a row for Jeff? Book a stay at the city’s most popular small hotel, Inn on the Alameda, and see what all the fuss is about. Hey, maybe you’ll run into Jeff in between takes.